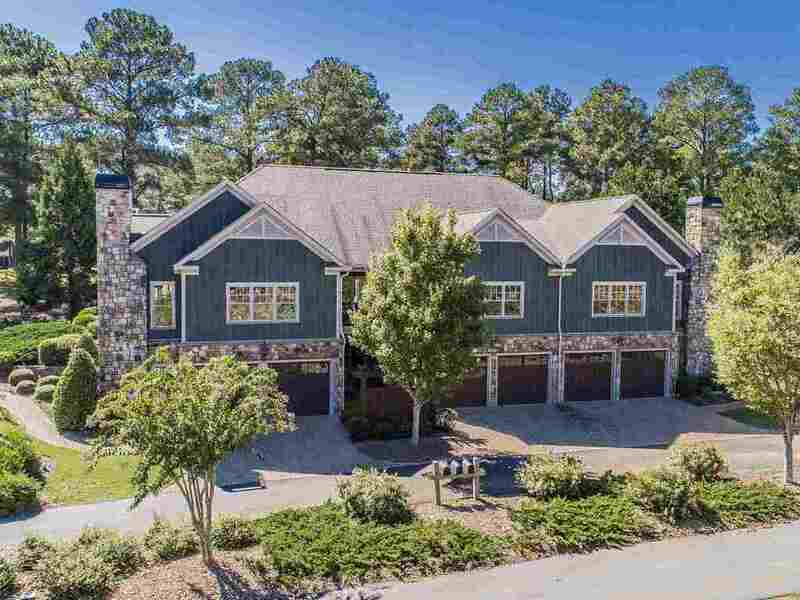 Enjoy peaceful golf, Lake and waterfall views from this town home in The Arbors at Cuscowilla. This 3 BR / 3 BA home is loaded with upgrades like stainless steel viking appliances, upgraded cabinets, granite counter tops, hardwood floors, vaulted ceilings, masonry fireplace and crown moldings. There are two bedrooms on the main level with the master on the golf course side. There is an additional suite in the basement along with an exercise room, lots of storage and a two car garage. Offered partially furnished with the TV's. Located only a short golf cart ride away from the swimming pools, tennis courts, driving range and restaurant. All landscape maintenance is included in the POA fees.